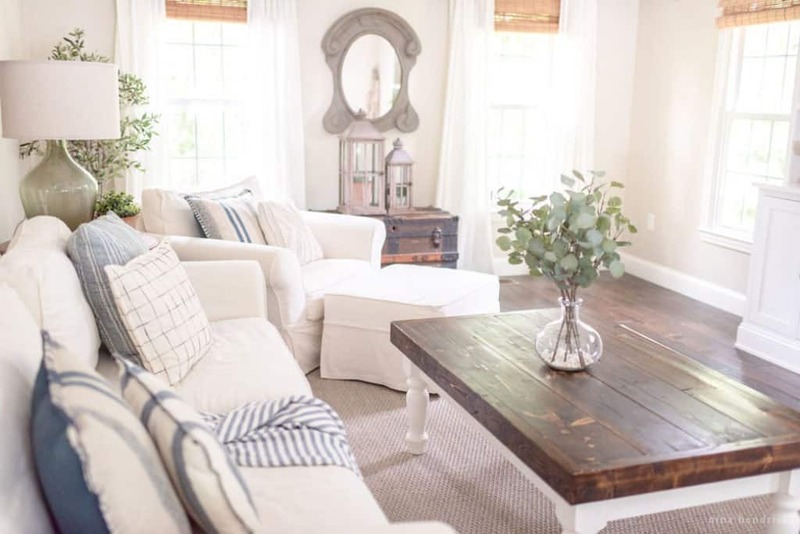 How to Find Your Decorating Style | Are you asking yourself “What’s my decorating style”? 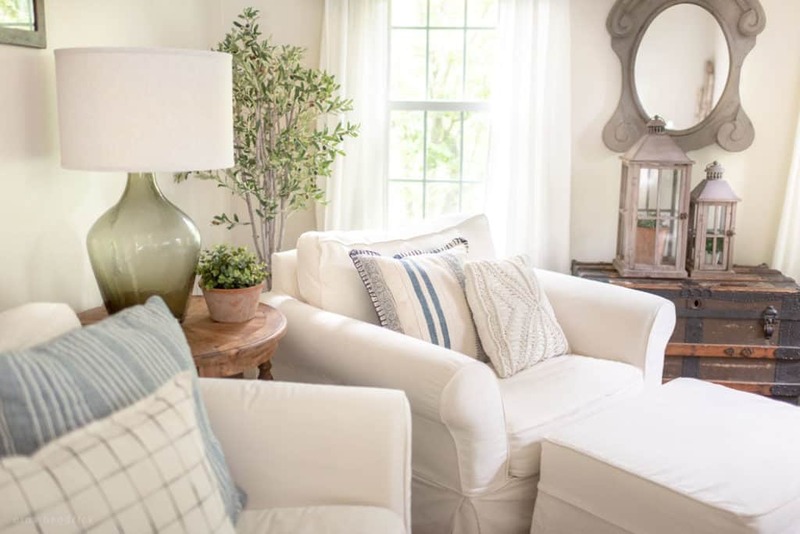 This post with a fun quiz helps you learn how to find your decorating style so you can begin to create a meaningful home you love. What’s your decorating style? Chances are if you landed here, you’re still trying to figure it out and how to decorate your home in general. 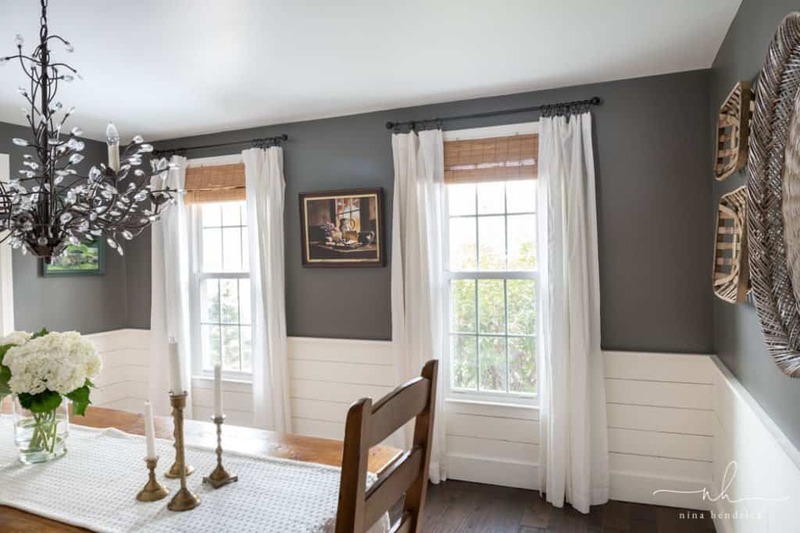 It can certainly be challenging to zero in on how to find your decorating style when there are so many style types and resources to tell you what they are. Our style is determined by our experiences, our culture, the personalities in our family, and on a basic level, our simple preferences. It can shape the emotion of how we feel in our home, even subconsciously. I shared all of my other reasons why it’s important to know your decorating style in this post! For a long time, I also had difficulty when it came to categorizing my style. In the end, I just invented my own. The thing is, I don’t actually believe that most people fit into one neat little category in any part of life, and interior decorating style is no exception. At this point, I wouldn’t box myself into something like “Farmhouse” without leaving the door open to other styles. My decor has always been a blend, and it’s likely yours is, too! That’s why if you end up taking the quiz attached to this post, you’ll find my six design archetypes to be a little looser than the classic style definitions. There’s some overlap, and some things will fit, while others won’t. My advice is to take what applies to you, what you like, and leave the rest. It’s just my interpretation and mostly for fun. All in all, this post is meant to serve as a guideline to you as you begin to find your decorating style. As always, my main advice will be to fill your home with what you love, what’s meaningful, and what makes you happy. 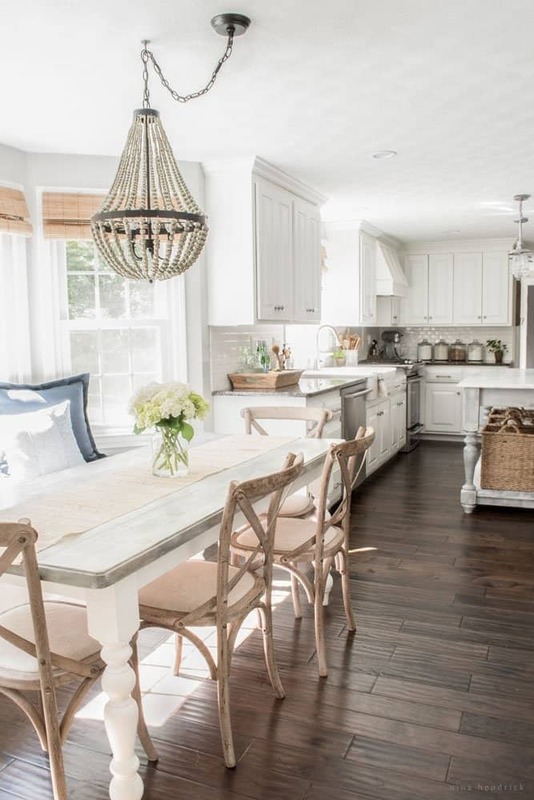 Chances are, you already have a Pinterest board made of décor that you’re drawn to. If you don’t, I would recommend creating one! Don’t try to stick to a particular style yet. Just pin what you like, and we’ll come back to it later. This is the visual version of a brainstorm! Look in your home and at what you already have. What do you have that you love? Make a collection of things you have already that define your style. If you don’t have anything yet, don’t worry! Just skip this step. You can also reverse engineer this. What do you have that you don’t like anymore or that doesn’t match your style? There’s no reason to keep the things that you no longer enjoy displaying. That’s how clutter builds up! Either donate or sell it. A bonus is that if you sell your décor you can apply the funds to buying new stuff that does fit your style. How does your home feel? How do you want it to feel for yourself and others? Does it feel warm and welcoming? Cool and minimalist? Determine the current mood and the desired mood of your space. Sometimes it’s easier to figure out your home décor style by looking at the things you choose to wear. 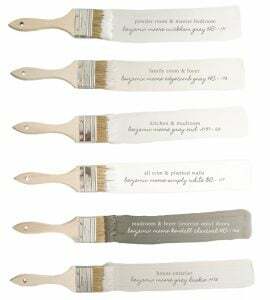 This was particularly helpful to me while choosing a whole house color palette (more on this step later on!). I tend to gravitate toward simple classics in neutrals, blues, and greens. Guess how I like to decorate? You’ve got all of the pieces, now it’s time to bring them together! Is there a particular color or texture that stands out? Do most of the photos have straight lines or curves? Are the spaces minimal or are there more “things”? Overall, you’re looking at the whole picture and trying to figure out what you like. There isn’t really a need to put a name to it as long as you know what you’re going for. 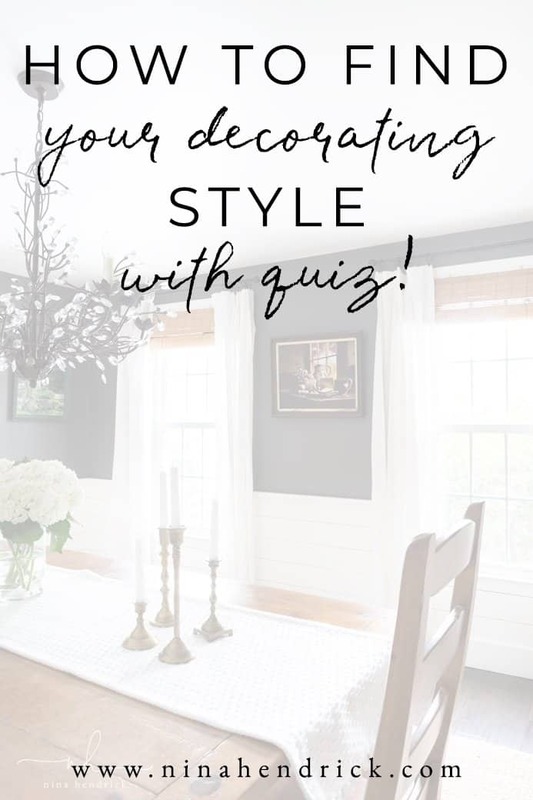 The next step I recommend is to take the “How to Find Your Decorating Style” Quiz below if you haven’t already! That will give you some idea of the styles that may make up your unique taste and style. Oh, and please make sure to share your results with me on Instagram because I love to hear from you! Took the quiz, nailed it! Fit my style all the way to the last 10 percent! I’ll be recommending your blog to my daughter and daughter-in-law! I love this, Mary! I’m a huge fan of things that just make us happy. :) Thank you so much for taking the quiz! Yep, I am the farmhouse/cottage girl with some traditional and French tastes. Your quiz was right!!!! It worked for me too! Love it now I have a direction to follow thank you so much. Actually three directions to follow. I love this post. Imagine how boring and impersonal our homes would be if we stuck with one ‘official’ style. So freeing to focus on what delights us and works for our family. It’s also very helpful to look at the clothes I prefer. Why have I never thought of that? 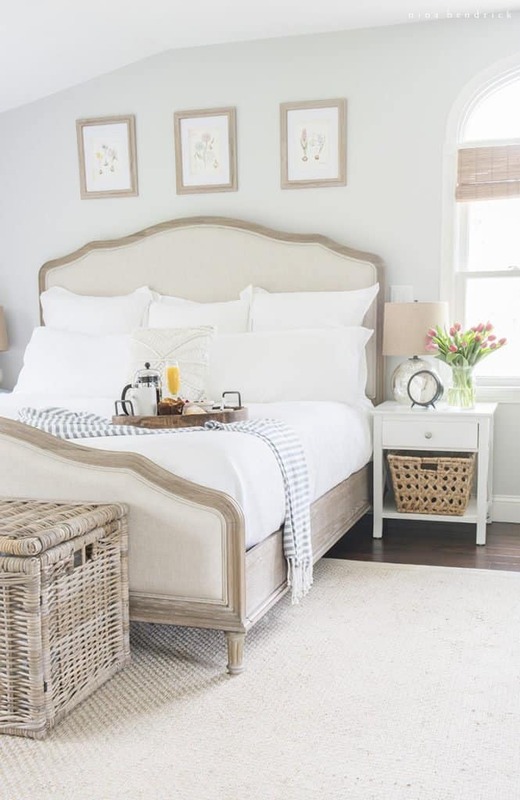 I love linen, and soft, neutral colors that would be at home in a Beatrix Potter illustration, lol. In late winter I enjoy potting herbs and starting veggies indoors. It makes me happy to these little growing things around the house. Home should fit the people who live there. I’m going to give myself permission to be unique. Hi, Jennifer! Yes :) You can learn more about my design services here!